Las Islas Baleares atraen cada vez a más personas que pudiendo invertir en cualquier otra parte del mundo eligen hacerlo aquí, y es que las islas de Mallorca e Ibiza se han convertido en uno de los enclaves por antonomasia (par excellence) para adquirir propiedades únicas, disfrutar de ellas y obtener la máxima rentabilidad. 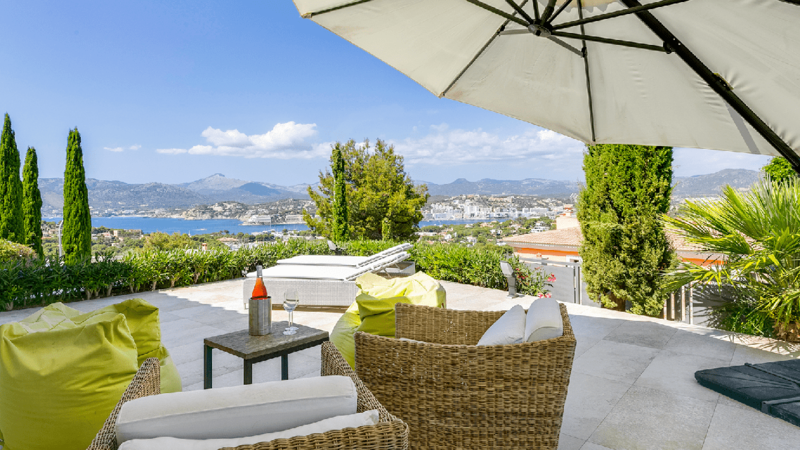 It is no secret that the Balearic Islands are considered one of the most sought-after luxury property markets. Attracting national and international investors alike, Mallorca and Ibiza have continually shown themselves to be a sound and profitable place to purchase exclusive real estate. The draw cards are plentiful, white sandy beaches edged with crystal clear waters, secluded coves, architectural splendours and a rich cultural background, a nature lovers paradise, a jet setter’s dream and all this topped off with 300 days of sunshine. The Balearic Islands harbour a peaceful and tolerant cosmopolitan society and are often the chosen destination for international families and professionals who want to enjoy the excellent quality of life the islands have to offer. Protecting the environment of the Balearics is of vital importance in preserving their natural beauty. The islands seek to safeguard open green spaces and natural areas and the risk of mass building and construction zones is limited. The Balearic Islands are located in a privileged and dynamic part of Spain, both geographically and economically speaking. With easy access to markets in Europe and the rest of the world, together with a warm climate and outstanding natural beauty, the Balearics have become the ideal platform for conducting business. The Balearics prides themselves on continually improving the quality of service to locals and tourists thanks to a user-friendly modern network and infrastructure. The open and dynamic economy offering continued growth and a development plan similar to that of some of the most well-established economies in the world make it an excellent and well thought out choice. En Balearhouse le ofrecemos las principales oportunidades de inversión del momento en las Islas Baleares y le brindamos el mejor asesoramiento e intermediación a la hora de encontrar y adquirir una propiedad para obtener la máxima rentabilidad. Del mismo modo asesoramos a todos aquellos clientes nacionales o internacionales que quieren desarrollar proyectos desde cero a partir de un terreno, apoyándoles desde el diseño arquitectónico hasta la comercialización final. En Balearhouse estamos siempre cerca de usted, de principio a fín de cualquier proyecto. Balearhouse ist ein junger, dynamischer Familienbetrieb, der seit über 18 Jahren Immobilien in Palma de Mallorca anbietet. Die Auswahl geeigneter Immobilien erfolgt stets nach Ihren persönlichen Wunschkriterien mit höchstem Anspruch an Qualität, Lage und Preis.